Let’s kick start your remodelling mission with the living room. Look around and see if a few thoughtful changes can bring in a certain newness to the place. Replacing your old coffee table with a contemporary dark wood, low lying table, would do wonders to a section where you laze around, entertain guests or do your daily activities. A sleek entertainment unit with ample storage space for books, DVDs and other knick knacks not only saves space, but also lends a classy and chic look to the room. Moving on to your dining area, if replacing the table sounds a little over-budget, you can always go for a new set of chairs. Dining chairs come in interesting styles and designs now, depending on the look you want for your grub hub. Choosing a mix and match assortment, like a dining bench or a mere change in upholstery and dining textiles can inject a fresh life around your dining nook. Coming to your sleep sanctuary, let’s do a quick scan on what furniture changes can be made to transform your dream space. If the budget permits and the circumstances allow, then swapping your old bed with a new lighter version and good storage space would be ideal for a bedroom makeover. To add more storage options, placing a tall chest of drawers in a corner would be the next best thing. And finally for those important little people in your house, their den needs a transformation too. A new and spacious study table or a bright and peppy bunk bed, can easily weave a magic in the kids room. 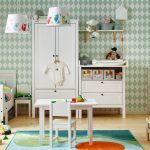 Apart from the bed and desks, choose some interesting furniture elements – like storage combinations with boxes and a vibrantly colourful chest of drawers. These are the real life savers when it comes to the de-cluttering process and organized living!